National Young Farmers Coalition | Join the young farmer events in your area! Join the young farmer events in your area! As we move into Spring, young farmer potlucks, meetings, and gatherings are popping up like wildflowers all over the country. Today we want to highlight just a few, and give you some inspiration to start organizing in your region! 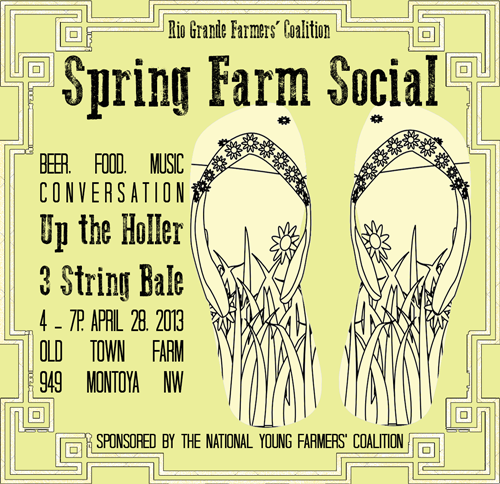 In Albuquerque, NM, the brand-new Rio Grande Farmers’ Coalition is having its first annual Spring Farm Social. Young and new farmers, as well as more experienced farmers and advocates, will celebrate the start of the new organization with food, beer, music, and conversation. All are welcome to this free event on April 28th. NYFC’s Kate will be there (NYFC is sponsoring the event), along with folks from Land Link and other organizations. More details are here. 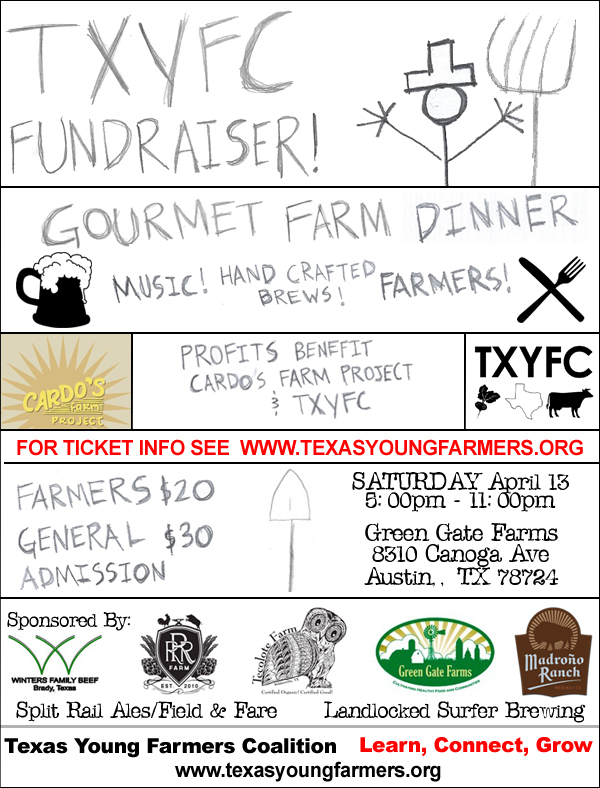 And just a state away, the Texas Young Farmers Coalition will be holding a fundraiser and party in Austin on April 13th. This self-described “big ole Texas BBQ” will raise funds for the TXYFC and Cardo’s Farm Project, a community farm in the area. The amazing menu will be accompanied by several local ales. TXYFC, which came about over a year ago, has been working in the Austin region to develop a person-to-person community of beginning farmers, develop farm education, and promote political advocacy for the next generation of farmers. Check out details and RSVP here. These fantastic events are just a few in the works – the national young farmer community is awash coast-to-coast with amazing get-togethers and trainings – from seed-saving talks in Wisconsin to FarmON!’s weekly workshops in Oregon. Want to organize something in your community? Contact us at organize@youngfarmers.org – we’d love to be a part! « previous article: "How I found the farm of my dreams…" – Share your story today!